As part of the MJF listings announced today, is this lovely event / lecture / gig thing that I’m doing. 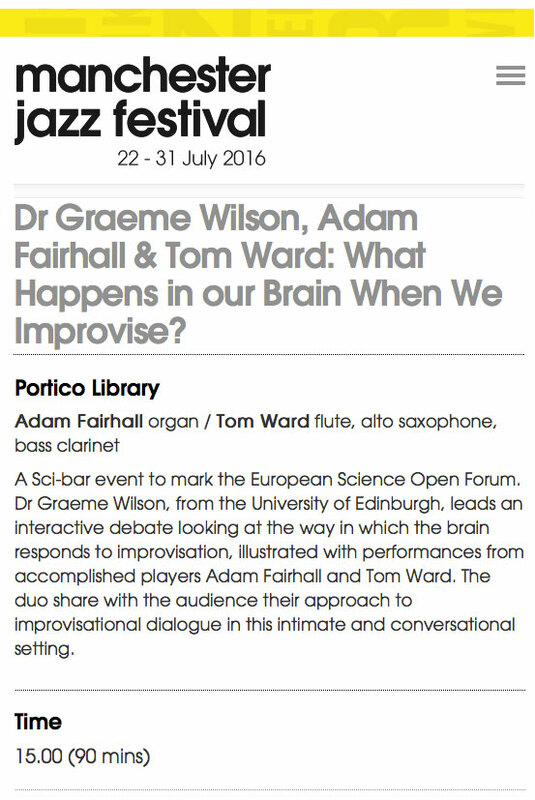 Graeme Wilson will be doing the talking, and Adam Fairhall and me will be doing improvising! Should be a really interesting afternoon! 3pm Friday 29th July at the Portico Library, Manchester. More details on the Manchester Jazz Festival website. This entry was posted in Uncategorized on May 5, 2016 by tom.